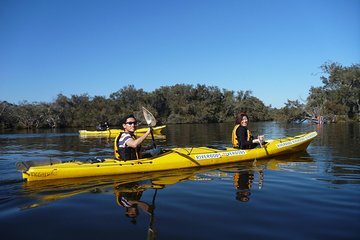 Explore the tranquil waterways of the Canning Regional Park with a 3-hour kayaking tour in the heart of central Perth. Escape the bustling city for the serene waterways as you glide down the Canning River and get up close to the park’s wildlife. Best of all, with full instruction and all equipment included, this guided tour is suitable for all ages and abilities, including complete beginners. Great guides and a great way to spend what was a very hot morning on the Canning River.